The new Ferraro Enzo will be powered by a V12 engine supplemented by an F1-style KERS system, the company has finally confirmed. In its official company magazine, Ferrari confirmed the car, which is codenamed F150, will be powered by an engine evolved from the 730bhp 6.3-litre V12 that powers the F12 Berlinetta. It will be mated to the HY-KERS electric hybrid system, which Ferrari says will cut the 0-124mph (0-200kph) time by 10 per cent and official emissions by 40 per cent; unconfirmed reports suggest the KERS system adds around 120bhp to the engine’s 800bhp. This means a combined power output of more than 900bhp and a 0-124mph time estimated to be just over eight seconds. Ferrari also says the KERS system and its ancillaries do not affect the power to weight ratio, as the power benefit is equal to the additional weight. 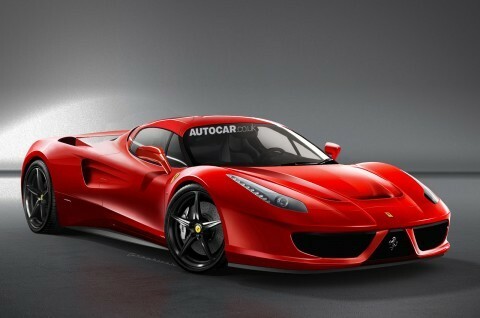 Ferrari also says the new Enzo will be no taller than the Ferrari 458 Italia, nor have a longer wheelbase. So far, Ferrari F150 teaser images have revealed only shrouded details of the car. The final production car is expected to be revealed at next year’s Shanghai motor show, although reports also suggest it could be seen slightly earlier, at the Geneva motor show.